Temples of South India showcases splendid amalgamation of absolute spirituality and architectural superiority. For a tourist, South India temples tour is an experience of lifetime, where he acquaints himself with a millennium old culture that was very carefully kept preserved and nurtured in the temples of south India during course of history by different dynasties which ruled South India. The temples in the southern part of India spread across states of Orissa, Kerala, Karanataka, Andra Pradesh and Tamil Nadu exhibit different architectural styles and were commissioned by the respective rulers in reverence of his holy deity. Among different architectural styles practiced in conceiving and constructing the temples in south India, the most import one is the Dravidian architecture. • Sabarimala Temple: Situated in state of Kerala, Sabarimala Temple is another important pilgrimage of Hindus. Devoted to Lord Ayyappa, the temple attracts around forty to fifty million devotees during its annual pilgrimage between months of November to December, every year. Its location on the top of the 468 meters high mountain above sea level and surrounding forest makes the temple scenic and picturesque. • Lingaraja Temple: Situated in state of Orissa, Lingaraj Temple is devoted to Lord Harihara. This one thousand years old temple is located in temple city of Bhubaneswar and is one of the biggest temples in India. Embellished with Kalinga architecture and sculpture, the exotic Lingaraja temple is 180 feet tall. • Ramanathaswamy Temple, Rameswaram: Located on an island in Rameswaram close to Tamil Nadu coast, Ramanathaswamy Temple is an important Hindu pilgrimage. The temple is constructed in praise of Lord Shiva. Architecturally, the pillars and carvings on the temple magnify the beauty of the temple. • Tirupati Balaji Temple: Located in Triupati in Andhra Pradesh, Tirupati Balaji Temple is a renowned Hindu Temple revering Lord Vishnu. The Temple is also known as Tirumala Venkateswara or the Temple of Seven Hills. This temple is learnt to be visited daily by 50,000 to 100,000 pilgrims, thus makes it one of the most visited pilgrim sites of the world. The annual festival of Brahmotsavam is also held in temple. • Meenakshi Temple: Situated in Madurai in state of Tamil Nadu, Meenakshi temple is one of the most beautiful temples of India. The Temple is also known as Meenakshi Sundareswarar Temple or Meenakshi Amman Temple. 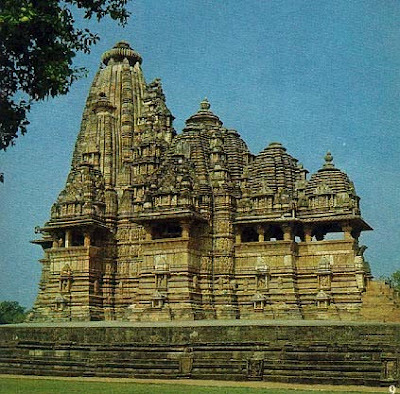 The temple dedicated to Lord Shiva and Parvati was constructed about 1600 years back. Hence, south Indian temples are must visit part of your itinerary on a tour of South India.